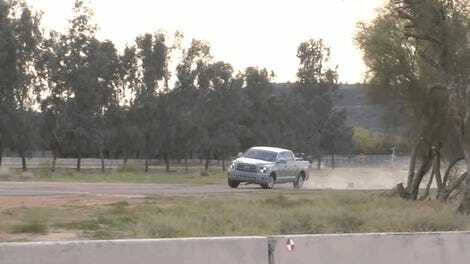 An unbelted crash test of a 2006 Dodge Ram at a scant 25 mph. 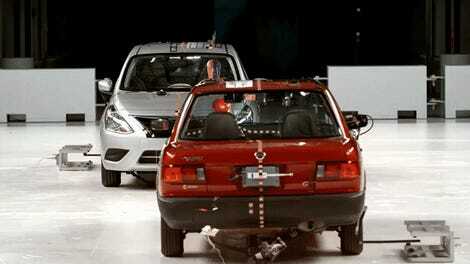 It’s easy to understand the appeal of crash tests. They look incredible in that I-can’t-look-away trainwreck sort of way, and it’s easy to rank them when you’re off looking for a new car to buy. But the crash testers at the Insurance Institute for Highway Safety outlined a simpler way of cutting fatal crashes in half: wearing your damn seat belt. That’s insane! Obviously what we should do as a nation is to get everyone to wear a seat belt, and thus cut car crash fatalities in half. Sadly, though Americans like the idea of everyone wearing a seat belt, we aren’t interested in requiring everyone to wear a seat belt. Researchers asked everyone in the study their views of various types of belt interlocks. These include an ignition interlock that prevents the vehicle from starting until the driver is buckled, a speed interlock that limits vehicle speed to 15 mph, a transmission interlock that prevents the vehicle from being placed in gear, an entertainment system interlock to prevent use of the radio or other entertainment and communication systems, and resistance in the accelerator pedal if drivers don’t use belts. When asked about belt interlocks, 70 percent of part-time belt users said that belt ignition interlocks would make them more likely to buckle up. However, that doesn’t mean that they would want them in their own vehicles. Just a third of part-time belt users said an accelerator interlock, entertainment interlock, speed interlock or ignition interlock would be acceptable in their vehicles. Fewer than half of all full-time belt users said they would support using ignition interlocks to increase driver belt use. As for less-intrusive interlocks that intervene after the car starts, 53 percent of full-time belt users said they’d support speed interlocks or transmission interlocks, while 48 percent said they’d support an entertainment system interlock. Interlocks did once make it into law, being required for all new cars by the federal government back in ‘74. These cruder, old interlocks were so hated that they’ve never made it back into public consciousness. What’s particularly maddening is that at least one car company (BMW, back in 2012) has tried to get seat belt interlocks back into the United States as a trade for an exemption on certain crash standards, but talks broke down with NHTSA at the time. We also got a kind of halfway solution with automatic belts in the late ‘80s and early ‘90s, part of a soft roll-out of mandated airbags. If a carmaker didn’t want to put in airbags, NHTSA let it get away with automatic belts. They were universally reviled. Now all we have are chimes and buzzers that sound in the case of an occupant not having a belt on. So we’re still here, politely asking drivers to wear their belts and fining those who do not. Meanwhile, our road fatalities are on the rise.